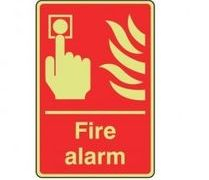 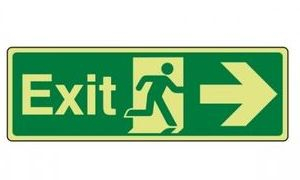 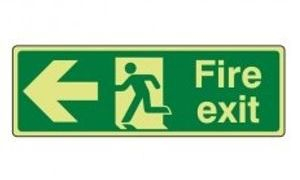 Photoluminescent Fire Exit signs are to be used to clearly identify means of escape during a fire. 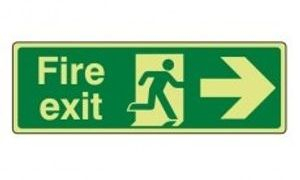 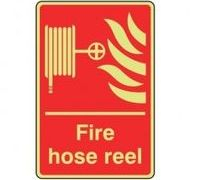 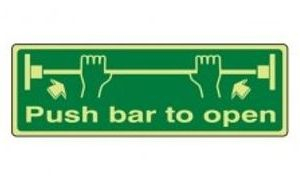 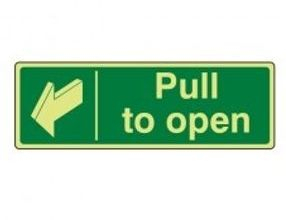 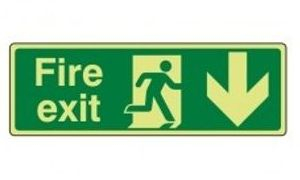 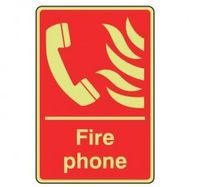 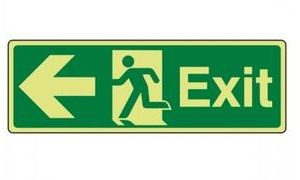 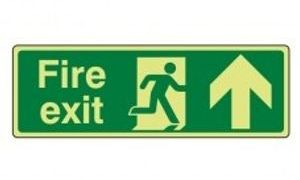 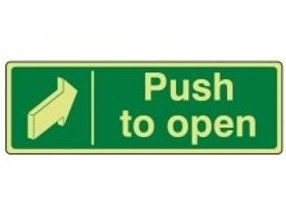 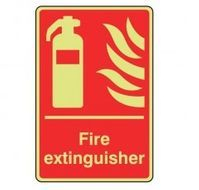 The signs are designed to easily show the direction to the nearest Fire Exit, and should be used together to create an easy to follow escape route. 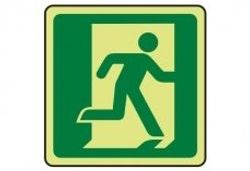 Made of digital cut GREEN sticker on acrylic sheet as backing. 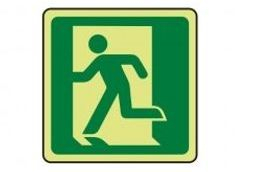 Photoluminescent Door Safe Conditions signs are used to show safe ways to open door.